Tooth decay in a baby is a condition that occurs between 18 months and 3 years of age. According to Health Scout, this is usually a result of a giving a baby a bottle at bedtime, resulting in prolonged exposure of the teeth to milk or juice. Dental caries are then formed as a result of the teeth being exposed to these decay-causing substances. According to MyChildHealth, tooth decay in infants usually occurs when the child falls asleep with a bottle in his mouth that contains any other liquid except water. When a baby sleeps with a bottle in the mouth, the mouth contains a small amount of milk or other decaying substances for the entire night. As a result, there is an overgrowth of bacteria that erode the teeth. Early recognition and intervention are essential to successful treatment and prevention of disease progression. The best treatment for decaying baby teeth is prevention. According to MyChildHealth, you should never allow your baby to sleep with a bottle unless it has only water in it. Do not allow your baby to sleep for 20 to 25 minutes after her nighttime feeding. You should also clean your baby's gums with a clean cloth after every feeding and brush her teeth two times per day with fluoride-free toothpaste. The treatment options for established tooth decay vary depending on how far the disease has progressed. According to Dietmar A.J. Kennel, DDS, writing on Pediatric Dentistry, early detection of demineralization on teeth may allow the teeth to remineralize with fluoride application and diet modification. According to Dr. Kennel, if obvious decay is present, full coverage of the teeth with stainless steel crowns or veneered crowns is indicated. Fillings have a poor prognosis on anterior primary teeth because there is more of a chance of the decay's spreading to other teeth. 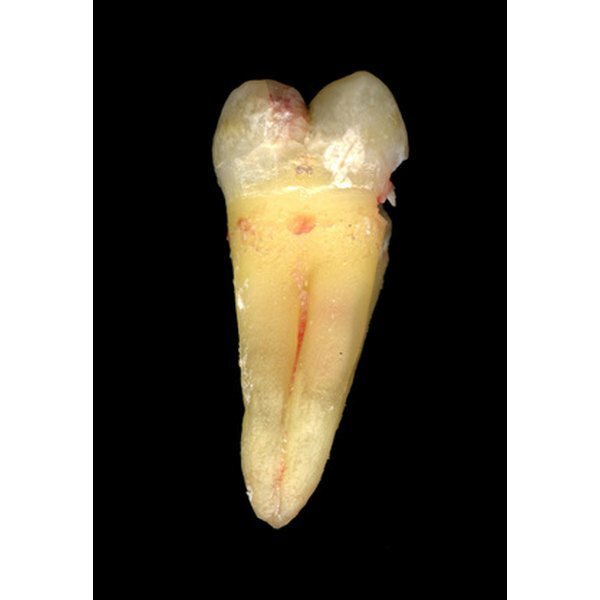 A baby tooth has a large pulp chamber in the center of the crown of the tooth. This chamber houses the nerves and blood vessels of the tooth. According Dr. Kennel, if decay reaches the pulp chamber, pulp therapy or extractions will need to be considered because the infection could cause the underlying permanent tooth to develop abnormally. Staining and pitting of a permanent tooth could result. Space maintenance is generally not necessary; the anterior primary teeth are usually spaced, but space maintenance is a concern for posterior primary teeth. MyChildHealth: What Is Baby Bottle Tooth Decay?